With crypto-currency market capitalizations hovering between $500 billion and a trillion dollars a lot of first time buyers have been attracted to crypto-currencies. For new buyers of crypto-currencies, deciding which exchange you are going to trade your crypto-currency on can be as important as deciding which crypto coin you are going to buy or sell. A crypto-currency exchange is a digital marketplace, allowing for individuals to buy, sell or trade a variety of crypto-currencies known as utility coins or tokens. All exchanges have their own exchange rates, which vary from exchange to exchange. Let’s take a closer look at some of the considerations to investigate before choosing an exchange. One of the most important factors differentiating a mediocre exchange from a good exchange is liquidity. Liquidity refers to the ability to find sufficient buyers and sellers to execute trades quickly. This ability to quickly match buyers with sellers substantially reduces the amount of risk both parties assume. 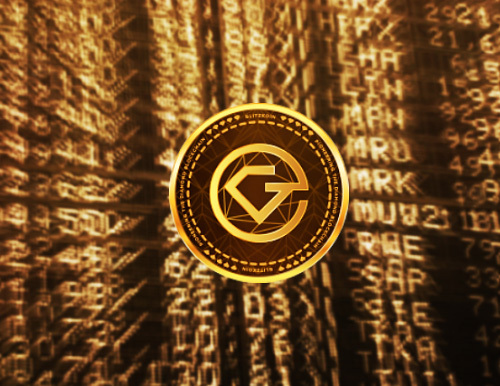 In an environment with low liquidity, if a seller tries to a sell large amount of a given utility coin where there are not a sufficient amount of buyers, it could cause a significant price decline. Reliability is another factor in choosing the right exchange. Verify to see if the platform continues to run effortlessly when there is a high trading volume or when the price of a currency is fluctuating wildly. Also, research the history of the exchange to determine if it has experienced system flash crashes or halts in trading. Try to establish whether there have been leaks of customer data and if there is a daily reconciliation verification to ensure all transactions are contracted correctly. Also, check to see if the exchange has a good history of customer support. Is it possible to have your question answered by a human either by phone, chat or email? Or does the site only provide a standard FAQ (Frequently Asked Question) page or user form? Customer support is particularly important for clients who might have to deal with technical glitches that are inevitable but, could lead to an inability to execute a trade. Communicate with the exchange prior to trading with them to get a feel of the type of customer support that they provide. Next, look at what you will be charged for each trade by examining their processing and exchange fees. Some exchanges are upfront about their fees, while others attempt to hide their fees within the trade. Pay attention to the fine print and make sure, that the fee structure is inline with other exchanges. There are typically three types of fees; usually they are for trading, depositing or withdrawing funds and they can vary according to the exchange. Fees within the same exchange may fluctuate over time. Some people contend that, larger exchanges may offer lower trading prices as a result of economies of scale. Finally the security and safety of the exchange is a vital element for choosing a crypto-currency exchange. The biggest concern for any trader using a crypto-currency exchange is fraud or cyber-hacking due to poor security. A quick search on the Internet will reveal any red flags of an exchange being hacked or having poor security. For extra protection, always ensure the exchange has a secure protocol for secure login that uses a two-factor authentication for example a password and quick-expiring code taken off a cellphone app. It is also advisable to store cash and crypto-currency in a separate wallet from the exchange you are using to trade. It is best to assume that any exchange is never 100 percent secure and to use all the security protocols available. Additionally avoid using exchanges that are run in obscure parts of the world where, regulation and consumer protection laws are weak or non-existent. These are only a few crucial factors for choosing a marketplace to invest, sell or trade virtual currencies. Other considerations can include how long the exchange has been operating, who runs them and their reputation in the market. Always remember that the best way to reduce your risk is to never put your money in a single exchange and to never store your money on the exchange. Send the money to the exchange when you want to make a trade, then trade and get your money back. The GLITZKOIN project includes a secure and state-of-the-art blockchain based diamond trading platform. The project also includes the deployment of a crypto currency that would be used to settle payments for transactions conducted ever the platform. This is the first diamond blockchain to be actively supported by the 90 billion dollar diamond industry.